Walter Burkert was a German scholar of Greek mythology and cult. A professor of classics at the University of Zurich, Switzerland, he taught in the UK and the US. 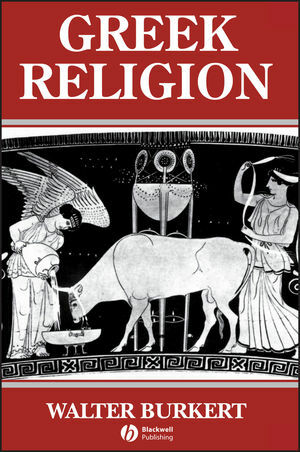 John Raffan is the author of Greek Religion: Archaic and Classical, published by Wiley. The Scope of the Study. Part I: Prehistory and the Minoan-Mycenaean Age. 2. The Neolithic and Early Bronze Age. 5. The Dark Ages and the Problem of Continuity. Part II: Ritual and Sanctuary. 6. ‘Working Sacred Things: Animal Sacrifice. 7. Gift Offerings and Libation. 14. The Spell of Homer. 16. The Remainder of the Pantheon. 17. The Special Character of Greek Anthropomorphism. Part IV: The Dead, Heroes, and Chthonic Gods. 18. Burial and the Cult of the Dead. 22. Figures Who Cross the Chthonic-Olympian Boundary. Part V: Polis and Polytheism. 23. Thought Patterns in Greek Polytheism. 24. The Rhythm of the Festivals. 25. Social Functions of Cult. 26. Piety in the Mirror of Greek Language. Part VI: Mysteries and Asceticism. 30. The New Foundation: Being and the Divine. 31. The Crisis: Sophists and Atheists. 32. The Deliverance: Cosmic Religion and Metaphysics. 33. Philosophical Religion and Polis Religion: Plato's Laws.